Here at barbers2u we know our customers expect the best from us, that’s why we only use top quality products on all our clients. 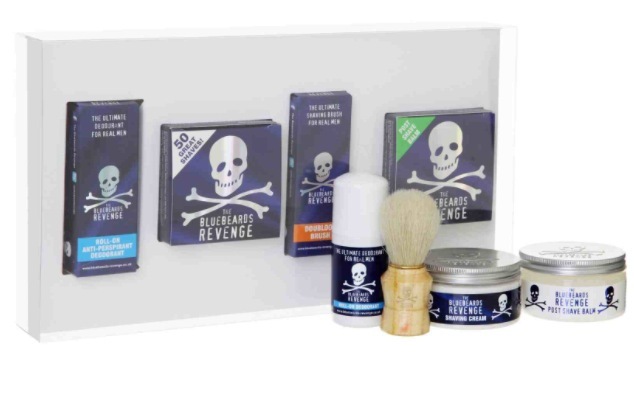 Our hot towel shaves are performed using a blue beards revenge shaving kit. [voted fhms top shaving product of 2013]. We start by applying some pre shave oil to soften the facial hair and then use a hot towel soften the skin and open up the pores on the face allowing for a closer shave. Then using a soft badger hair brush we apply the blue beards shaving cream to create a rich and thick lather allowing for a smoother shaving experience. Once we have finished the first shave we then re lather the face and shave against the grain of the facial hair creating a really close finish. we then apply a cold towel to the face to close the pores and sooth the face. Finally we massage some blue beards post shave balm into the skin which is guaranteed to leave you feeling refreshed.